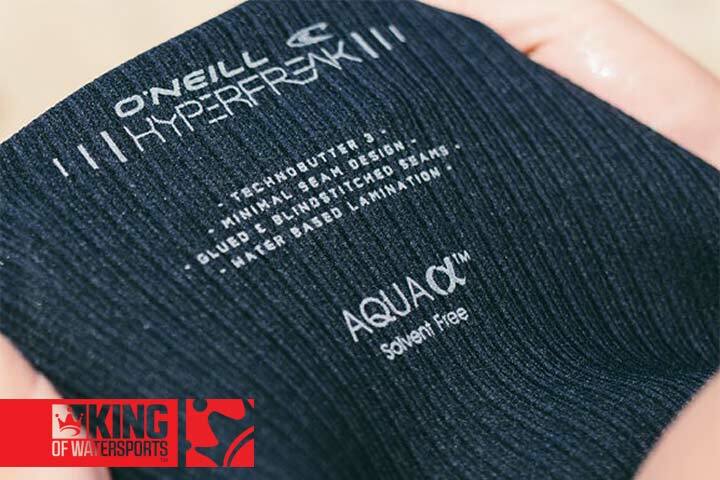 The O'Neill Hyperfreak Comp Zipless entry wetsuit is the most unique, lightweight, fully sealed suit on the market. 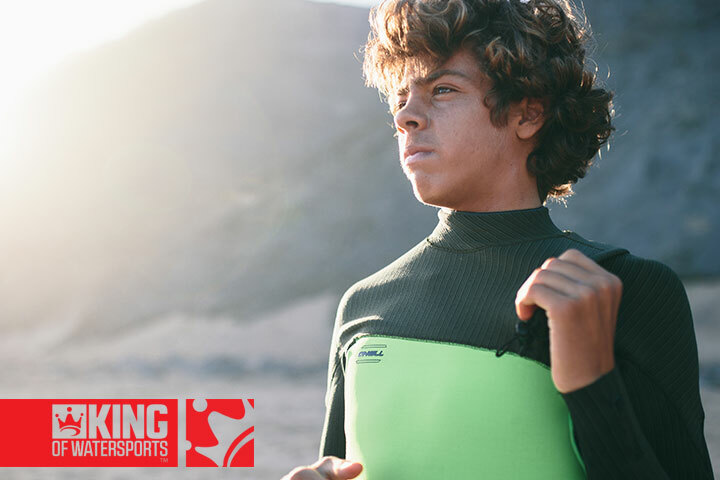 This advanced technology allows you to perform at the highest level with materials so comfortable and light, you’d swear you were surfing naked. ZIPLESS ENTRY SYSTEM - A lighweight closure system over a 360 degree barrier with drain holes and elastic cinch cord. A watertight zipless entry for ease of entry and exit. AQUA SOLVENT FREE - Completely water based and free from organic solvents and VOC’s. 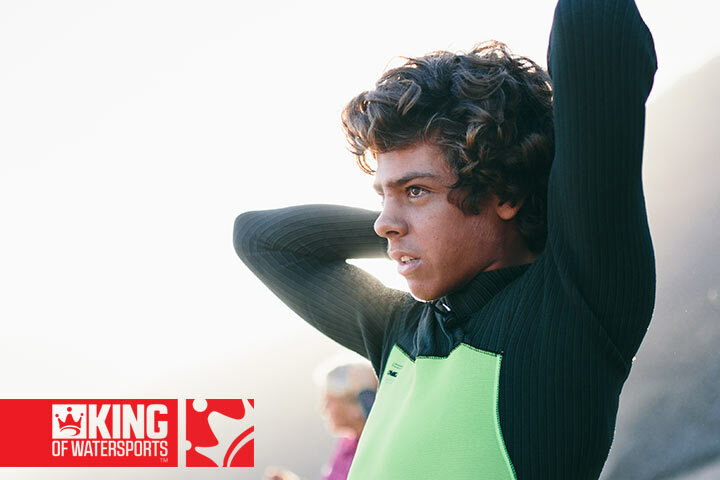 Reduces solvent usage by 600 grams per wetsuit. TBX3 TAPED SEAMS - The lightest stretchiest neoprene tape ever developed. 0.5mm split neoprene tape applied to the inside of a triple glued and blindstiched seam with water-based glue to keep you dry and loose. 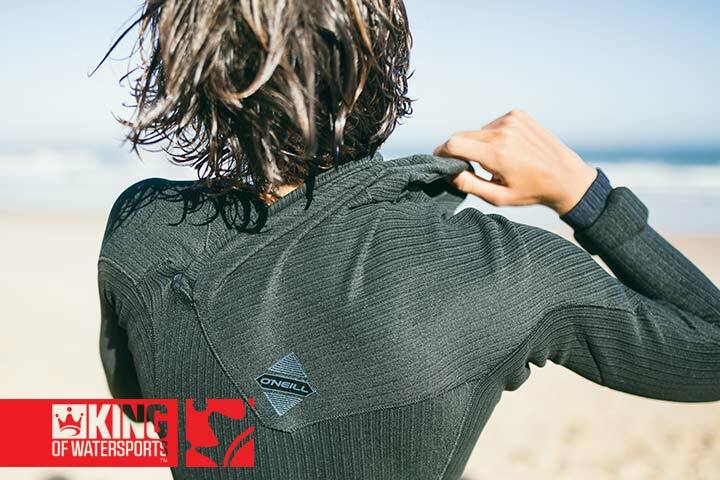 TECHNOBUTTER 3X - O’Neill’s exclusive new pre-stretched neoprene with featherlight, ENVY foam rubber core. The lightest, most ﬂexible, softest material ever created. Superior ﬂexibility and ﬁt.